You'll want to put this colorful bouquet for a party or no occasion at all. 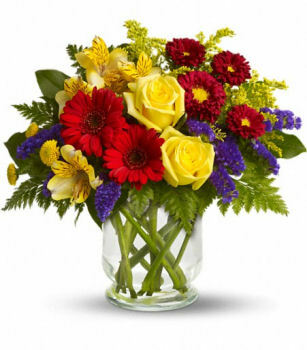 Bold primary colors and a perfect mix of flowers make it great for men and women of all ages. In other words, it's a perfect arrangement.